Selling a Home? Watch This Video First! Our full-time, well experienced agents providing full real estate services, sell homes for Top Dollar and save you thousands of dollars on commission. You receive Full Service MLS® Listing, but rather than 5% or 4% – as most other brokerages charge you when sell home – You pay only Total 2 Percent Commission (1% to Listing Agent and 1% to the Buyer Agent). No Upfront Fee, No Hidden Cost, No Fine Print. We Serve Homeowners all across Golden Horseshoe from Oshawa to Niagara Falls. We sell home all over South of Ontario including, but not limited to, Toronto, Mississauga, Brampton, Milton, Oakville, Burlington, Hamilton, Vaughan, Richmond Hill, Markham, Newmarket, Pickering, Oshawa, Ajax, and vicinities. of all types: Detached, Semi-detached, Townhomes and condos. With Modern Technologies and current real state market, it is not fair anymore to charge 5% or even 4% when agents sell homes. Modern Solution provides more services than most other big and small brokerages and agents while charge only a low and fair commission of 2 percent TOTAL (1% for Listing Agent and 1% for Buyer Agent). 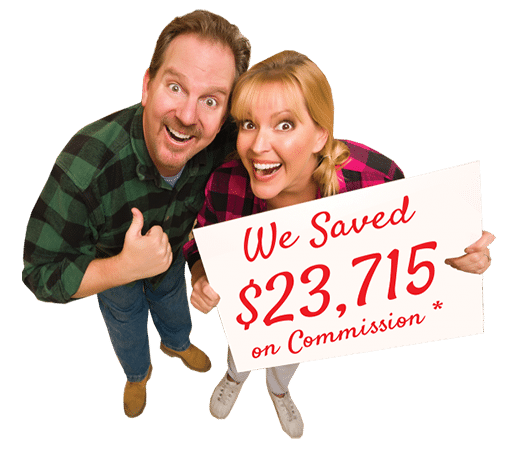 How Much 2% Commission Save You When Sell Home with Us? What You Get with 2 percent Commission? First, one of our well experienced real estate agents visits and appraises your home, giving you a comprehensive written appraisal report with the most accurate current market value for FREE with no obligation. The report is prepared and provided, whether you decided to sell home with us or not. You need the report when you want to sell home anyway. The marketing and selling strategy for every home is unique as every home is unique. No two homes are the same and no two homes can be sold in the same way. Our real estate agents analyze unique features of your house and set a unique marketing strategy to sell your home for top dollar fast. Full Service MLS® System to present you home in all realtors.ca House or condo for sale Search. FREE Home Staging Consultation to make your home ready for sale. Professional Photography for presenting your home for sale on the Internet. Full color brochures professionally designed for marketing your Condo or house for sale. Virtual Tour with Area Schools and Community Links to attract prospect buyers. Video Clip of your home features to show your house for sale on YouTube and other social media channels. Massive social media marketing in Google, Facebook and more home selling channels! You won’t be alone on deciding what to do when you receive an offer. One of the most important realtors’ skills, when sell homes, is the art of negotiation. Our agents are trained on negotiating skills. They negotiate with the buyers and their agents, when they sell your home, for the best price, terms and conditions to finalize the deal. 5. You won’t be alone till your home is SOLD. Receive full service from beginning till your home selling process is completely done. Our full-time Realtors and staffs are at your disposal 24/7 to advise, help and answer all your questions and concerns. Your home selling journey with us will be hassle-free and enjoyable. 5.You won’t be alone till your home is SOLD.